Time travel; one of literature's most confusing and certainly one of its most entertaining genres. It is almost always associated with aliens, space travel, and futuristic themes. 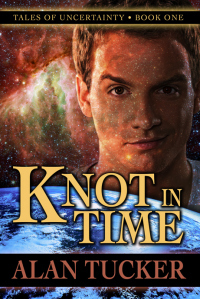 Knot in Time is definitely no exception. Beginning in the present year of 2012, the characters in this book travel through vast periods of time. In the book, a young man named Darius Heisenberg is inducted into a group called the Keepers. A Keeper's job is to preserve different "threads" of time. Think Green Lantern Corps but instead of fighting against the color yellow, they just make sure time goes how it's supposed to go. They recruit from different alien species who their mysterious leaders deem to be most suitable for this task. The story starts with the recruiting of the first-ever human Keeper: Darius Heisenberg. Time travel in and of itself is a confusing and complex notion that, more often than not, leaves readers with more questions than answers. I think that any author with the guts to take on such a difficult plot will have a very hard time, especially when you take it a step further, introducing an infinite number of "threads" of time, as well as an organization that has the ability to be outside of time itself. Bringing all of this into a single book would be a very difficult thing to do, while still having your readers able to understand what's going on. And thus, my great respect for Mr. Alan Tucker, for he has done just that in Knot in Time. Mr. Tucker knows exactly how to write a book that people just want to keep reading. This book is packed with non-stop action and suspense, and will you finish it, you'll wonder to yourself where all those pages went, wishing that you could have them back. When reading about time travel, many would wonder about the Grandfather Paradox, which (According to Wikipedia) goes as the following: The time traveler went back in time to the time when his or her grandfather had not married yet. At that time, the time traveler kills his or her grandfather, and therefore, the time traveler is never born when he or she was meant to be. Well, Mr. Tucker dismisses this problem with what, in the book, they call "time threads". These rules of time travel state that if somebody were to go back in time and kill their grandfather, they would simply create an alternate "thread", changing the course of the universe for that one strand of time, while leaving your own strand untouched. Of course, that all makes perfect sense. But seriously, it's easier to understand when reading the book. With all of this, Alan Tucker has done it once again. He has written yet another book that is both epic and captivating. This is definitely my favorite time traveling book, and Alan Tucker has come to be one of my favorite authors. This book is a must-read for any fans of science-fiction. It will leave you excited and ready for more. 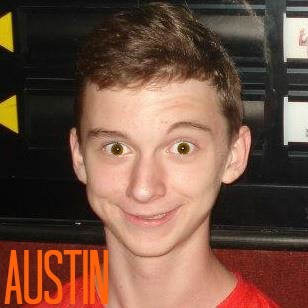 Thanks again, Austin for such a terrific review! Back to the Future was one of my all-time favorite movies growing up. I loved the combination of adventure and humor and wanted to bring some of that same feeling into this story, but with a modern edge. Hopefully I accomplished that and other readers will find it as enjoyable as you have! This is such a great review! I think I really got a feeling for the book. I'm glad that you found the time travel aspect easy to understand. Like you said, it is tricky and can be difficult to explain and keep straight. So excited for the giveaway! This book sounds so good I can't wait till i get my hands on it!